Market is seen opening higher tracking overnight gains on the Wall Street. Trading of Nifty 50 index futures on the Singapore stock exchange indicates that the Nifty could rise 53.50 points at the opening bell. In Asia, Japan's benchmark Nikkei 225 was trading higher. China and several other markets in the region are closed for the Lunar New Year holiday. US stocks closed higher Tuesday, as investors continued to sort through corporate earnings while awaiting President Donald Trump's State of the Union address in the evening. President Donald Trump called for unity in his opening remarks at his second State of the Union address, and promised to lay out the agenda of the American people. On the US data front, the US services sector expanded at a slower pace in January, according to the Institute for Supply Management's nonmanufacturing index, which fell from 58.0 in December to 56.7 last month. A reading above 50 indicates an expansion in activity. The Markit services PMI also registered a decline from 54.4 in December to 54.2 in January. Closer home, foreign portfolio investors (FPIs) bought shares worth a net Rs 420.65 crore on 5 February 2019, as per provisional data released by the stock exchanges. Domestic institutional investors (DIIs) bought shares worth a net Rs 194.31 crore on 5 February 2019, as per provisional data.  Key equity indices ended with small gains in a lackluster trading session yesterday, 5 February 2019. 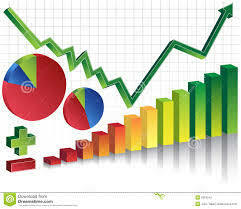 The barometer index, the S&P BSE Sensex, rose 34.07 points or 0.09% to settle at 36,616.81. The Nifty 50 index rose 22.10 points or 0.20% to settle at 10,934.35.